Some of their most notable residential projects include Doon Paradise (Dehradoon), Ishaan Greens (Deoghar) and Ishaan Avenue (Roorkee). Some of their most notable commercial projects include Ishaan Corporate Towers in Vasundhara. 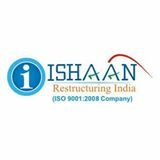 Under the leadership of their chairman, Chandan Srivastava, Ishaan Group has begun to grow into a recognizable name in the real estate sector and is receiving more and more projects. As the company continues to grow, one can predict an extremely bright future for it.